Organic operating profit grew 12.3%, ahead of top line growth, “as cost inflation and higher marketing investment were more than offset by improved price/mix and efficiencies from our productivity programme”, Diageo said in a statement. Net cash from operating activities stood at £1.6 billion, up £356 million, and free cash flow at £1.3 billion, up £317 million. Basic eps of 80.9 pence was down by (1.6)%, while pre-exceptional eps was 77.0 pence, up 13.6%, driven by higher operating profit and lower finance charges, which more than offset an increased tax charge largely as a result of lapping the positive impact of US tax reform in the prior period. 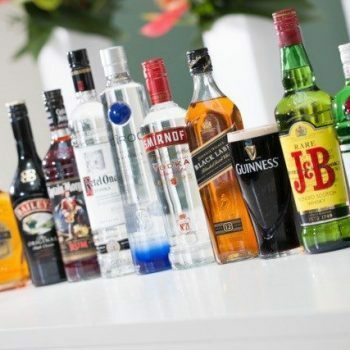 The interim dividend increased 5% to 26.1 pence per share, with early trading this morning proving Diageo to be the best performers in the FTSE100 index, rising by more than 2.6%. Ivan Menezes, chief executive, said: “These results are further evidence of the changes we have made in Diageo to put the consumer at the heart of our business, to embed productivity and to act with agility to enable us to win sustainably. “At £1.3 billion, we delivered another period of strong free cash flow. As a result the board approved an incremental share buyback of £660 million, bringing the total programme up to £3.0 billion for the year ending 30 June 2019. Further analysis on Diageo’s interim performance will be posted to the drinks business site later today.